Receiving cancer treatment is no walk in the park - but what happens when just getting to and from the hospital is a challenge in itself? 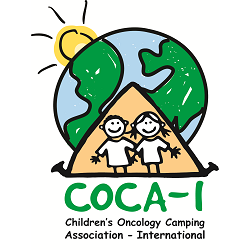 Check out these wonderful organizations who offer varying levels of support to help families fighting childhood cancer obtain the treatment they need! The diagnosis of a childhood cancer is often shocking, and can change a family's dynamics, routines, and entire home life overnight. While there's no quick fix to solve the many challenges of surviving childhood cancer, we're glad to know of several wonderful support services available to help your family through the rigors of treatment and beyond. Surviving childhood cancer isn't cheap. Our first-ever Family Resource Fair is quickly approaching, and with that comes our very first blog post highlighting a few of the organizations who will be in attendance! We're kicking off our first post by focusing on organizations who offer much-needed financial assistance to families affected by childhood cancer.